"Ireland are not renowned for emphatic victories so dipping into the handicap markets is seldom advised. But a feature of Moldova's start to this group has been their attempts to go chasing the game when in a bad position rather than settling for damage limitation." Ireland were dreadful against Georgia on Thursday. 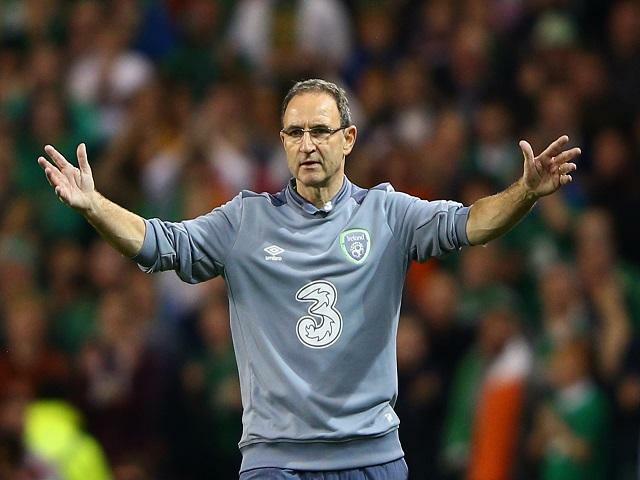 The predicted bright start did not materialise as the visitors came to Dublin and made Martin O'Neill's side look like the guests, owning possession and deflating 39,000 Irish fans. They didn't capitalise on their strongest spell, however, and Ireland responded courtesy of a first international goal for Seamus Coleman to scrape a win which they didn't really deserve. Coming off the back of a summer where the Republic performed well at the Euros, the Georgian struggle has succeeded in dampening expectations. Ireland toiled in Serbia last month too so there will be some trepidation ahead of Sunday evening's date in Moldova - the first meeting between the nations. There shouldn't be. Yes, Ireland are without Robbie Brady and Jeff Hendrick - two key players - due to concussion and suspension respectively. And they also have concerns about the goalscoring form of key striker Shane Long whose run without a goal stands at 18 matches for club and country. He was well-marshalled by a savvy Georgian rearguard. The good news from an Irish perspective, though, is that they are not visiting the lion's den. Moldova away sounds like a difficult fixture, but the reality has been different of late. They lost all five home matches in their Euro 2016 campaign, including against Liechtenstein, and finished bottom of their group. Moldova lost 4-0 against Wales in their first match and Serbia won 3-0 in Chisinau on Thursday, and Ireland already know that the Serbs are by no means a top drawer outfit. Moldova coach Igor Dobrovolski has acknowledged his job is on the line and there is always a danger of a big reaction in those circumstances. But that's just a hunch really, with no recent football evidence to support the notion. There are no stars in the home dressing room and an Irish side with a fair bit of Premier League experience should be good enough here. At the moment they are trading at 1/2 but it was 4/7 on Friday evening and if it drifts to anywhere around the 3/5 mark then it might appeal a better odds-on investment to others on offer across the weekend. Ireland are not renowned for emphatic victories so dipping into the handicap markets is seldom advised. But a feature of Moldova's start to this group has been their attempts to go chasing the game when in a bad position rather than settling for damage limitation. They shot themselves in the foot against Serbia by gifting them an opener from a mistake inside their own half and they continued to get caught by breaks when they tried to retrieve the deficit. Long is out of form but his pace can hurt if the natives find themselves a goal down and on the hunt for a leveller. You can find Ireland -1 at 5/4 on Sportsbook and that appeals. The first two goals Moldova conceded against the Welsh came from routine crosses into the box and Branislav Ivanovic capitalised on slack marking to nod home a dead ball on Thursday. That inability to cope with aerial power really should encourage O'Neill. The absence of Brady is a loss because he is the set piece specialist but James McClean can deputise. Shane Duffy is likely to start in the centre of defence and the towering Derryman is worth looking at in the goals markets. He's 20/1 to break the deadlock but the 13/2 about anytime goalscorer is tempting. His likely partner Ciaran Clark and the imposing Jonathan Walters are alternative suggestions.